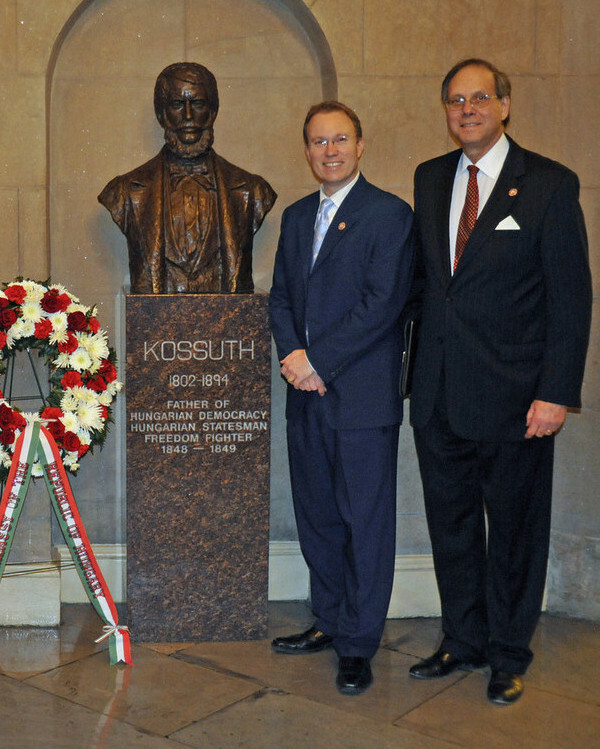 02/08/2018 - The American Hungarian Federation on the Occasion of the Unveiling of a Statue Honoring Former Congressman Tom Lantos. A statue honoring former U.S. 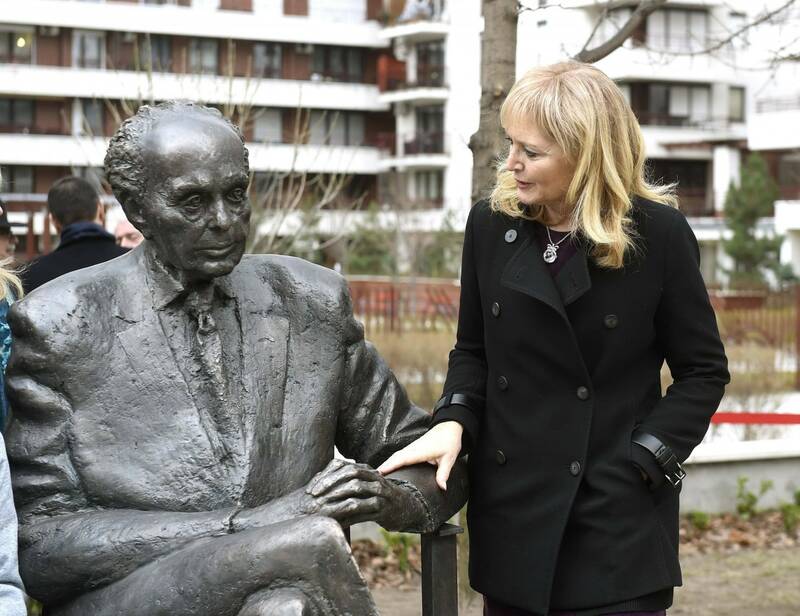 Congressman and Holocaust survivor Tom Lantos was unveiled in Budapest, Hungary on Thursday, February 1, 2018. Congressman Lantos was a close friend of the American Hungarian Federation (AHF) and a recipient of AHF's highest award, the Col. CommandantMichael Kovats Medal of Freedom for his "Leadership in Support of Democracy, Human Rights and Minority Rights in Central and Eastern Europe." 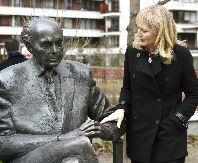 As the founder of the Hungarian Congressional Caucus, he was indefatigable in promoting good US/Hungarian bi-lateral relations and human and minority rights of the Hungarian historical communities living in states bordering Hungary, as when he sponsored a congressional resolution calling upon Romania to return communal and religious properties that the previous Communist regime had confiscated. Congressman Lantos also was dedicated to keeping the memory of the horrors of the Holocaust alive to prevent such barbarity from occurring again. On the 50th anniversary of the Hungarian Holocaust, he reminded us that "too often the efforts of those who struggled against the Nazi oppression go unrecognized." Congressman Lantos was referring to Colonel Ferenc Koszorus, a Hungarian army officer and an unsung hero whose unparalleled action saved thousands of Jews from deportation to the German death camps. Thousands of Jews from surrounding states found refuge in Hungary, whose Jewish population exceeded 800,000 in March 1944, just a few months before the end of the World War II. AHF is delighted and most appreciative that Congressman Lantos is honored with a statue that will serve to remind us what an individual can accomplish by remaining true to his or her principles and willing to selflessly and purposefully act on those principles. Congressman Lantos was instrumental in the installation of bust of Louis Kossuth, a gift to the people of the United States from the American Hungarian Federation. He supported many other AHF efforts, including the successful human rights campaign to open the border of the divided city of Szelmenc, NATO accession, Hungarian minorities and the Benes Decrees, and church property restitution in Romania. 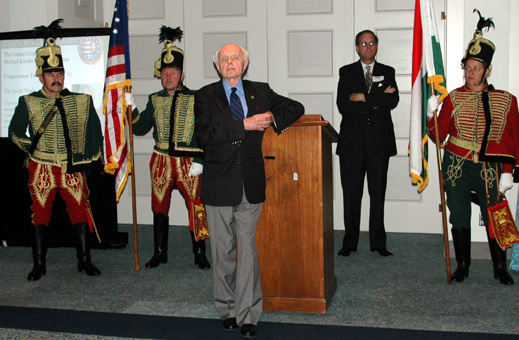 He is seen here at the AHF 2005 Congressional Reception, in honor of the 1956 Hungarian Revolution where he was a recipient of AHF's highest award, the Col. Commandant Michael Kovats Medal of Freedom. 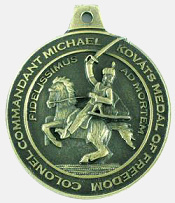 The American Hungarian Federation (AHF) established the Colonel Commandant Michael Kovats Medal of Freedom to honor outstanding individuals and recognize their life's achievements, dedication to freedom and democracy, promotion of transatlantic relations, and meritorious contribution to society. The award, AHF's highest honor, is open to Hungarians and non-Hungarians alike. 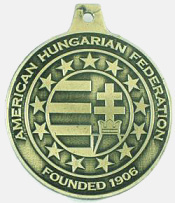 Inscribed on the medal is AHF's Motto, “Fidelissimus ad Mortem" or "Faithful Unto Death” (Híven Mindhalálig in Hungarian) representing Hungarian American historical committment to the United States. The motto was taken from a letter written by former Hussar Officer Michael Kováts to Benjamin Franklin. Kovats, known as the Founding Father of the US Cavalry, who offered his sword in service to the United States. On May 11, 1779, Colonel Kovats gave his life in the American War for Independence while leading the Continental Army cavalry he had trained in Hungarian hussar tactics against a British siege of Charleston. The native form of this personal name is Lantos Tamás Péter. He was a Democratic member of the U.S. House of Representatives from California's 12th district from January 5, 1981 through February 11, 2008. Thomas Peter Lantos represented the northern two-thirds of San Mateo County and a small portion of southwest San Francisco. Lantos had announced in early January 2008 that he would not run for reelection because of cancer of the esophagus, but died before finishing his term. Lantos was the only Holocaust survivor to have served in the US Congress. Upon immigrating to the United States, he attended the University of Washington and the University of California, Berkeley, receiving his Ph.D in 1953. Tom Lantos stood up for the rights of Hungarian minorities as a member of the US House of Representatives. Most reecntly, in a 2007 letter he asked Robert Fico, the Prime Minister of Slovakia to distance themselves from the Benes Decrees and to treat members of the Hungarian minority as equal. He indirectly blamed the Slovak government for ethnically motivated attacks on Hungarians because the country's governing coalition included ultra-nationalist parties. The American Hungarian Federation (AHF) established the Colonel Commandant Michael Kovats Medal of Freedom to honor outstanding individuals and recognize their life's achievements, dedication to freedom and democracy, promotion of transatlantic relations, and meritorious contribution to society. The award, AHF's highest honor, is open to Hungarians and non-Hungarians alike. Golden freedom cannot be purchased with yellow gold. I, who have the honor to present this letter to your Excellency, am also following the call of the Fathers of the Land, as the pioneers of freedom always did. I am a free man and a Hungarian. As to my military status I was trained in the Royal Prussian Army and raised from the lowest rank to the dignity of a Captain of the Hussars, not so much by luck and the mercy of chance than by most diligent self discipline and the virtue of my arms. The dangers and the bloodshed of a great many campaigns taught me how to mold a soldier, and, when made, how to arm him and let him defend the dearest of the lands with his best ability under any conditions and developments of the war. I now am here of my own free will, having taken all the horrible hardships and bothers of this journey, and l am willing to sacrifice myself wholly and faithfully as it is expected of an honest soldier facing the hazards and great dangers of the war, to the detriment of Joseph and as well for the freedom of your great Congress. Through the cooperation and loyal assistance of Mr. Faedevill, a merchant of this city and a kind sympathizer of the Colonies and their just cause, I have obtained passage on a ship called "Catharina Froam Darmouth, " whose master is a Captain Whippy. I beg your Excellency, to grant me a passport and a letter of recommendation to the most benevolent Congress. I am expecting companions who have not yet reached here. Your Excellency would be promoting the common cause by giving Mr. Faedevill authorization to expedite their passage to the Colonies once they have arrived here. At last, awaiting your gracious answer, I have no wish greater than to leave forthwith, to be where I am needed most, to serve and die in everlasting obedience to Your Excellency and the Congress. P.S. : As yet I am unable to write, fluently in French or English and had only the choice of writing either in German or Latin; for this l apologize to your Excellency.